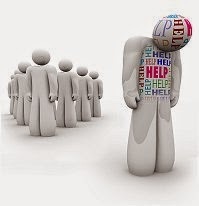 Social anxiety disorder, also called social phobia is one of the most common anxiety disorders, almost 7 to 13 percent of the population are suffering from this type of disorder. In this disorder, a person tend to feel quite nervousness and uncomfortable in any situation. They always feel fear that they are being closely watched or embracement so that others will think badly of them. Just because you get nervous occasionally in social situations doesn’t mean that you are suffering from social anxiety disorder. Shyness or self- consciousness can be the reason behind it and it can overcome with some time. Social phobia causes tremendous distress that interferes with your normal routine, including school, work, social activities, and relationships. There are three types of symptoms that have been noticed in many people in the case of social phobia such as Emotional symptoms, Physical symptoms, Behavioral symptoms. So let’s check out these symptoms. If you want to overcome from this situation then try to focus to what happening around you rather than discourage yourself. Apart from this basic treatment there are lots of other ways to come out from this disorder. Here we are listing some of the treatment options for you. If you are suffering from social phobia then try to challenge negative thoughts. Convert you negative thoughts into positive. Many changes happen in your body when you become anxious. One of the first changes is that you begin to breathe quickly. Overbreathing throws off the balance of oxygen and carbon dioxide in your body—leading to more physical symptoms of anxiety, such as dizziness, a feeling of suffocation, increased heart rate, and muscle tension. Learning to slow your breathing down can help you bring your physical symptoms of anxiety back under control. Practicing the following breathing exercise will help you stay calm when you’re the center of attention. One of the most helpful things you can do to overcome social anxiety disorder, or social phobia, is to face the social situations you fear rather than avoid them. Avoidance keeps social anxiety disorder going. While lifestyle changes alone aren’t enough to overcome social phobia or social anxiety disorder, they can support your overall treatment progress. The following lifestyle tips will help you reduce your overall anxiety levels and set the stage for successful treatment. So just try to follow this simple treatments and you'll easily be able to overcome this disorder.If you know any other treatments then do let us know through your comments.Thanks for visiting.